She longed for danger, mystery and intrigue. She longed to be his, to entice the beast that lay within. One restless night, would she finally get her wish to take a walk on the wild side? Kagome is transported even further into Time, unraveling certain secrets and discovering the truth behind the mask of Lord Sesshomaru. Will she cause a rift in Time? Will she be able to return to InuYasha and the others? As the search for the sacred jewel shards moves on, only two shards remain. The gang is running out of time before Naraku completes the sacred jewel and wreaks havoc on the world. In pursuit of Naraku, the gang stumbles upon their helpful friend Myoga, who warns them that Naraku is not only after the sacred jewel, but after Inuyasha’s father’s last sword as well. Inuyasha and the gang must find the rightful owner of the sword, before Naraku gets to it first. However, will Inuyasha and the gang be able to handle the hidden family secret that will soon be unveiled? Summary: Sesshomaru despises human weaknesses but one human woman introduces him to his own humanity and his own weaknesses. Summary: With war on the horizon, two Inu tribes choose to unite against their common foe. When unbreakable traditions unite two wild, untamable souls in an arranged marriage, the two must learn to understand each other even as their world threatens to fall apart. Summary: After a devastating accident on a cruise, ten survivors land on an unknown island. As night falls, strange noises are heard from within the jungle. Will the survivors see their homeland again, or will the darkness on this island consume them all? Back with Venagance! I havent been on here for years, and now I'm coming back with a Crack!Fic. Kikyo is dead, Inuyasha is pinned to a tree, Naraku should be happy. He isn't. Why, you ask? Just that a certain Miko died with the Shikon Jewel. Now, Naraku has to wait... But for what? The question is answered! What did Naraku do while Inuyasha was pinned to the tree? Summary: The battle with Naraku is over. Kagome is locked in her time. InuYasha is lonely again. But something is calling him from far eastern mountains. What is it? How will InuYasha face this journey all alone? Takes place in the three year gap between Jewel's destruction and Kagome's return. Summary: Kagome has always been strong when she needed to be. 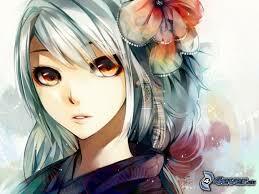 But what will happen when she becomes the deadliest and strongest human in feudal Japan? And who will win her heart-- a hanyou, or her new human companion? And most of all, why does she always feel as though someone is lurking in the shadows, watching and waiting for her? Find out in Shadows. Sesshomaru is the most poised leader out of all the lands, and yet he is the only one without a mate or heirs. What does Fate have in store for the great taiyoukai? Summary: On a cool windy night, Sesshomaru, the Lord of the Western Lands, known for being poised and stoic is doing his nightly searches of his lands. He finds an unconscious human and decides to keep her as a captive. But as the woman becomes more comfortable with him and secrets are shared, Sesshomaru finds he cannot bring harm to her. What will happen between these two and will she finally be able to escape? The sequel to Rin's inner strength. Learn about the prophecy and how it will effect Mizuki and Haruki in their futures. Will they tie together the prophecy and save their own lives and those of their clan members and friends or will it all be destroyed by a mysterious and very dangerous will of their enemy. An furthermore who is there enemy and why does he want to destroy what they figured would be a peaceful and happy life not just for Sesshomaru and Rin's family but also for children. The night before Halloween, Kagome sets quite the scene. Imagine a dream which felt so real, it left you screaming and in peril. One by one, at midnight children are taken and the Inu-gang is caught in the middle. Summary: Japan's imperial ambitions ended at Hiroshima and Nagasaki, but its victims will never forget what they had to endure. Sesshoumaru and Kagome will come face to face with Japan's past, as they battle across the centuries to prevent history from being rewritten and Japan from being erased from existence. Sequel to A Silver Shadow. Summary: Rin is happy and feels so excited until unspeakable events occur that change her from joyful child to something almost completely different. all from one friend who ended up betraying her and causing her lots of hurt and pain and confusion. Will Rin get pass this will she ever be her true self again read and find out also their is a sequel in by oct 31 promise ^.^. 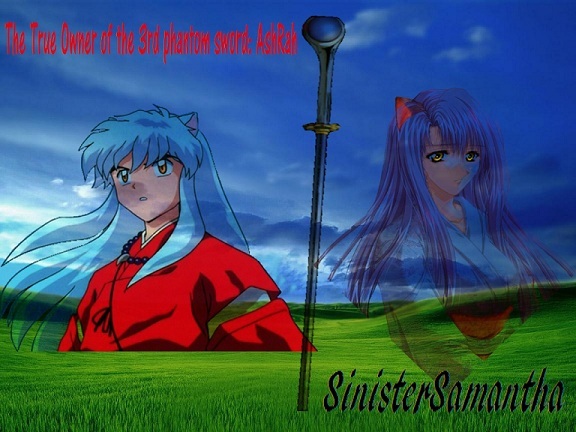 Kagome stood facing the evil hanyou, trying to find some sort of lie and deceit laced in his red eyes. Is what he was telling her true? "Naraku..." she breathed. "I'll give you a chance." His eyes gleamed in the moonlight. "That's what I wanted to hear, miko." He moved closer. Kagome gasped as she slipped into unconsciousness, missing the cold murder in her captor's eyes. Summary: After an arguement with Inuyasha, Kagome runs into an injured Sesshomaru. She nurses him back to health and he falls for her and takes her as his mate. What will the others think when they find out? What will happen when Naraku finds out?